Download the new TODAY app for the best of America’s #1 morning show! All day. Anytime. Anywhere. * Catch up with your favorite TODAY hosts, including Savannah Guthrie, Hoda Kotb, Al Roker, Craig Melvin, Carson Daly, Willie Geist, and the rest of the TODAY team! * Watch segments from NBC's TODAY, and the latest original videos and trending stories from TODAY.com * Shop our latest Steals & Deals, trending gift ideas, editors’ favorites and recommended products in health, beauty, style, fashion, and more! 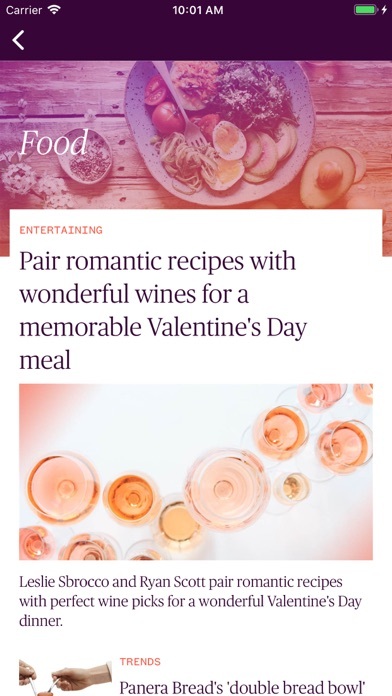 * Find your favorite recipes, celebrity interviews, parenting tips, uplifting stories, healthy living, pop culture, and national news. ---- This app features Nielsen proprietary measurement software which will allow you to contribute to market research, like Nielsen’s TV Ratings. To learn more about our digital measurement products and your choices in regard to them, please visit http://www.nielsen.com/digitalprivacy for more information. Started watching Interview of Chelsea handler and the sound has stopped.Video continued but no sound. Makes my life easier, and that’s what it’s all about. She is Your shining light..... the show and all those co-hosts around her are better because of the beautiful person!!!! I set my alarm Monday through Sunday to join my extended family. I am a widow with no children. I get just enough news, human interest, health issues, recipes and music ...Jackie Wenner. I hate those videos that go on and on before getting to the subject....is there is one. Why can’t they get to the point...here’s what you can do with lemons to loose weight. Don’t show them any more!! Yippee!! Excited to be able to see the stories anytime!! Thank you! So helpful and happy to enjoy on my time schedule! Keep up the good work! This app needs some MAJOR fixes after it was redone. I continually have sound issues, when you turn landscape the sound turns off and doesn’t come back on until exit out of the app and reopen. So frustrating. Please fix TODAY crew! I LOVE the Today show and EVERYTHING about it. They include the staff and crew on their show. That says so, so much about how much they care about one another!!! Best news station on the planet!!!!! Too many commercials. Every time I want to watch or read a story...There it is...An advertisement before each and every segment. This is a time waster, people use apps because they want to keep in the know, but have no time for 5 commercials in between every segment. This app, I find to be junk...where are the great meaty segments. Like the ones in the mornings on our tv screens? I was extremely disappointed with it and will be taking it off, if there is no change. I tried listening to a commercial first then the video...the video wouldn’t load, just go round n around. This is a busy world...we are all busy trying to save time some how...please make adjustments,otherwise loose the app. Do all of us a favor that way. Put in all the segments so we can catchup and enjoy!!! Thanks I been watching a long time, this app is a disappointment. UPDATE 2019: The app is STILL not back to it's former glory. When the app was originally released it was so great and I used it everyday. You could watch almost every clip from the show each day one after the other and have to watch short ads after every few clips. There were neat categories also, so if you were looking for a certain clip or area of interest it was all just right there. Now, who knows what is here and from what day etc. disappointing still… Deleting the app one more time... UPDATE 1/27/17: still broken. No landscape for iPad. Programmers please fix it! 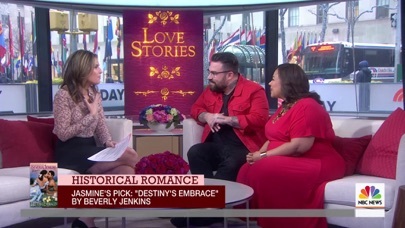 I wanted to watch a clip from the today show today and thought I would watch it on the app like I used to. I looked for the app and didn't have it installed. So, I went to the app store and reinstalled it to watch the clip. The clip would not play. Now I know why I deleted the app. 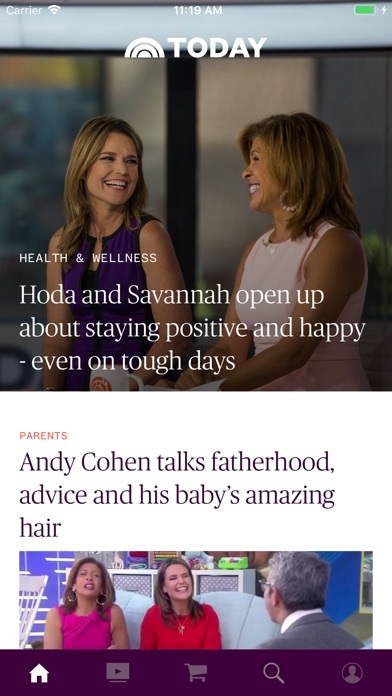 I used to use the app all the time to watch the today show when they had the older version but the last two updates have basically made the app unusable. What a shame! I used to really enjoy using the app. I guess no one NBC monitors reviews or cares. I am an avid Today Show supporter and watcher ... every morning - that’s my routine and I LOVE the show. When I first heard that they rolled out a newer version of the app I was excited because i was never happy with the older version. Well to my very disappointed and unhappy surprise his newer version is ever worse. You can’t even search anything in this version. I absolutely hate and will delete it from my phone because it is totally 100% useless to me. I want to be able to search something that I saw so that I can share it with my fiends and family and not look through all the videos again to find what I am looking for - horribly disappointed !!! 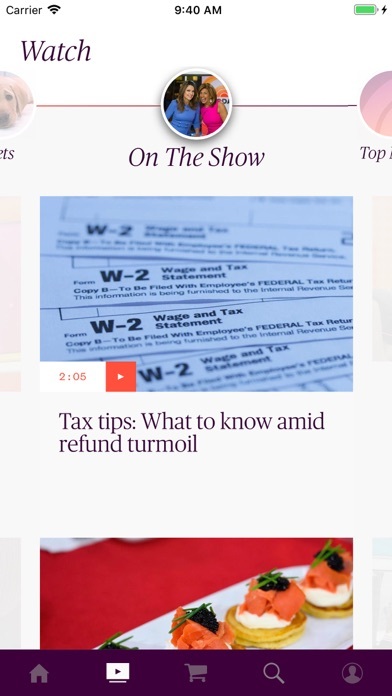 A good range of news topics is available on the app. There’s videos mixed in with the news stories. The shopping deals are worth it! Gives me a chance to look things up. So glad Jenna bush Hager has been chosen to replace KLG .. She was the perfect co host!! Thanks so much!! I just love The Today Show! I have been watching my entire life! I love Kathie Lee and Hoda they make my day each and everyday! I also love Jenna and I am so thankful they chose her, she will be great!! Savanah is awesome too the whole crew!!!! I watch the Today show every morning. It always has the latest news . And also is very entertaining. Funny newscasters. And has a variety of topics and tips. I watch the today show every single morning if possible. I love the transparency of the hosts and the content. Keep it up! I hope to one day come to New York city and watch you all in person. It would truly be an honor and so much fun! Thank you for all you do every day for all of your viewers! 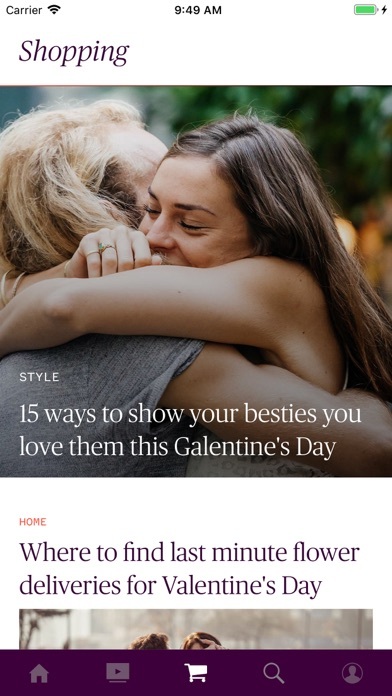 Please go back to the old app format layout. This new layout is cluttered and confusing.Not easy on the eyes. By memere whisper jannie b.
I would like to be able to search for a topic or story I missed. Maybe it’s possible, but I haven’t found it yet. Just got the Today Show ap yesterday and am enjoying it. 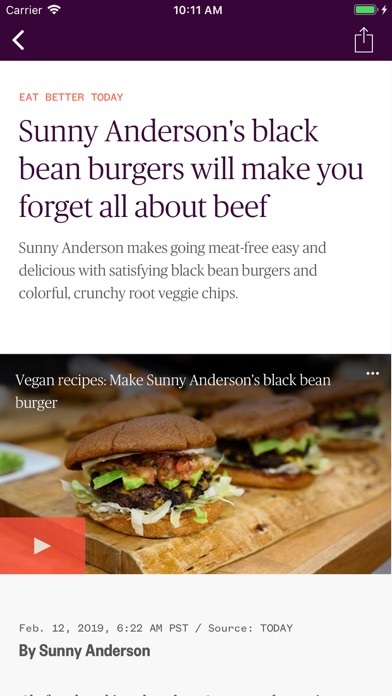 Terrible app. Terrible show. Incredibly biased. 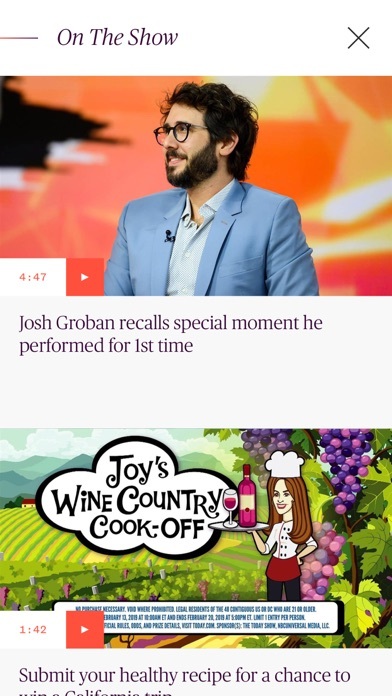 As a news app it would make more sense to see less of the terrible fake advertising and ads that share clearly fake news slamming celebrities that are often featured on the today show. This app used to be the best of the today show and it’s news. Now it’s mostly advertising in the worst way. Always enjoy the Wonderful and healthy recipes shared by JOY!! I’m not condoning what Matt did. But it’s just not the same. I love Craig and watched him for yrs on WIS Columbia SC. But there’s something missing . Would love to go bk if things change because I’ve watched Today for as long as I can remember and im 71! But I switched after Matt left. How do you feel about lying now, 2+yrs. into the most embarrassing administration in history?! What did U do to Dillon’s hair? Dying it a mousy brown, no volume, no hairstyle, just limply hanging. She used to be quite beautiful and glowing with kickass hair; maybe that was your problem - that she outshone all the other girls. 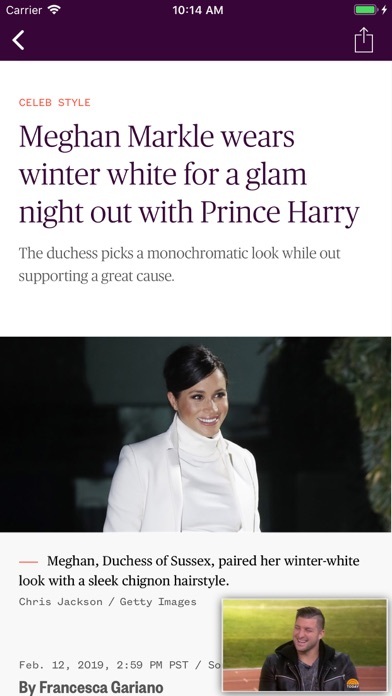 Well, now she looks dull and you no longer notice her beautiful glowing face. What a shame. You’ve done the same thing to Savannah - that unflattering hair color and haircut make her blend in to the background and not shine. I guess that was your goal - they obviously looked too pretty for the producers liking for some reason. Well, now they do look dull and blend into the background. Thankfully, you haven’t gotten hold of Jenna yet. She’s still allowed to have pretty blonde hair. Al Roker is now the prettiest host 😬🙄 I feel so bad for Dillon ☹️☹️☹️. She was such a glowing, gorgeous beauty. Now, plain Jane. 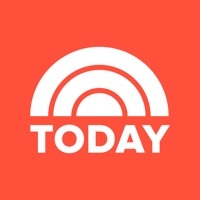 I love the today show and was so excited to see there was an app for it but it’s all articles about what was on today , it’s not the actual show with the speaking. Don’t like it have to uninstall app. Shoo-fly pie has a crust! ( not called a cake!). ... just sayin’ ! You are killing us with Opioid Addiction! This guy with “chronic” neck trouble, clearly an addict can’t poop! Get him off the drug!! I’m sick of watching your app’s streaming content (which is excellent) and every 2 or 3 minutes throwing up in my mouth a little .... hearing every commercial break ... (trending addiction topic) this clearly addicted guy explain why he can’t poop (visual) due to Opioid addiction! Surely.... you have other sponsors...??? You’re killing me with Opioid addiction!! It drives me crazy the number of times in a minute she pushes back her hair!!! Stop already!